We are a science-led global healthcare company with a mission to help people do more, feel better, live longer. We have a 150 year legacy of helping transform the lives and futures of people. We research, manufacture and make available a broad range of medicines, vaccines and consumer healthcare products which are used by millions of people around the world, helping to improve their health and well-being. We employ more than 110,000 people in over 115 countries; have a network of 84 manufacturing sites in 36 countries and large R&D centres in the UK, USA, Spain, Belgium and China. In the UK we have a combination of offices, manufacturing facilities and R&D centres. All of our employees are critical to our success. We rely on their knowledge, expertise and enthusiasm to embrace new ways of working. We expect every one of them to be led by our values – acting transparently and with integrity, showing respect for people and putting the interests of patients and consumers first. Join for free, and we'll match you to employers that are right for who you are and your lifestyle needs. List of all the benefits that GlaxoSmithKline are offering their employees. Benefits may vary depending on role, location and length of service. I’m a great believer in continuous learning. My managers have always supported and helped me build my capabilities, as well as encouraging me to consider going beyond what I imagined for my career. 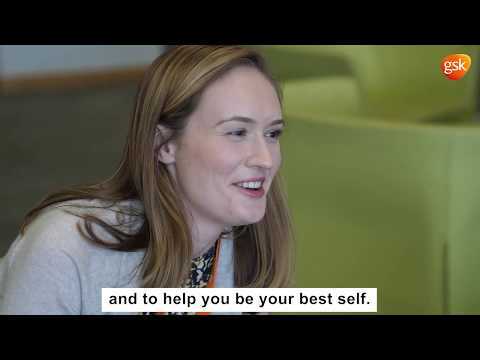 The graduate scheme has allowed me to experience different roles. My mentors have taken a real interest in me, offering technical development support and valuable career advice, but they also listen to my ideas and opinions.